It will be a sad day when BMW finally kills off the 6 Series Gran Coupe. Despite the 6er Coupe being killed off some time ago, the Gran Coupe is still on sale. For now, at least. When it does finally go, fans will be upset, as it’s been one of BMW’s best looking cars for a long time. However, there will be solace in the upcoming BMW 8 Series Gran Coupe, as that could be even better looking and will be even more exciting. It’s also been caught testing again, wearing some heavy camouflage. (We don’t own the photos but check them here). In these new photos, the 8 Series Gran Coupe can be seen hitting the Nurburgring, testing its impressive dynamics. The car in question is likely an M850i Gran Coupe, as it sports dual rectangular exhausts, big wheels and large front air intakes. While the 6 Series Gran Coupe was, and still is, a stunning car, this new 8 Series Gran Coupe seems like it could be even better looking. It’s smoother, longer, meaner and more muscular looking. Its rear hips seems wider and its front end seems more aggressive. The built-in spoiler at the back also looks fantastic. When the 8 Series Coupe debuted, it was widely considered to be the prettiest BMW in the stable. This, though, might just take that title from its sibling. This test mule also seems to be sitting incredibly low. Especially at the back, there seems to be zero wheel gap at all in the wheel wells. We know the BMW M850i will be a sporty car but this seems to sit as low as a typical M car. It could just be the suspension loaded up at high speed, due to being tested on the ‘Ring, but it still seems low for a non-M Division product. We can’t wait for the BMW 8 Series Gran Coupe. Unfortunately, it won’t be revealed until next year. 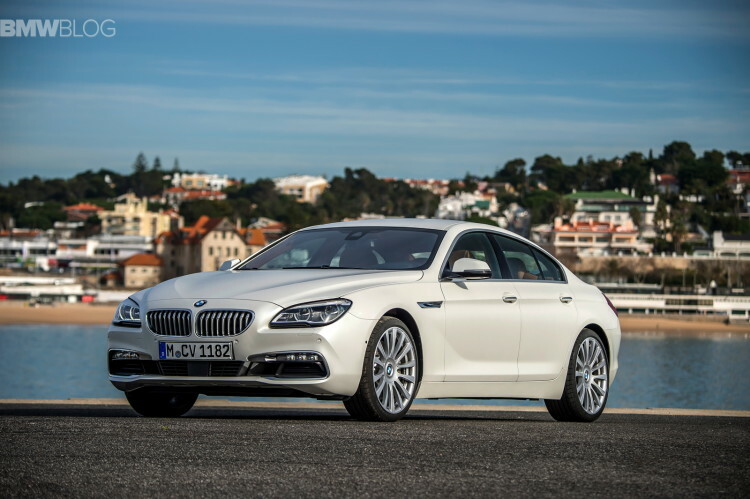 Until then, we’ll just have to make do with the 8 Series Coupe. Shame.